If you want automatic photo backup, you'll need to install the Dropbox desktop app. 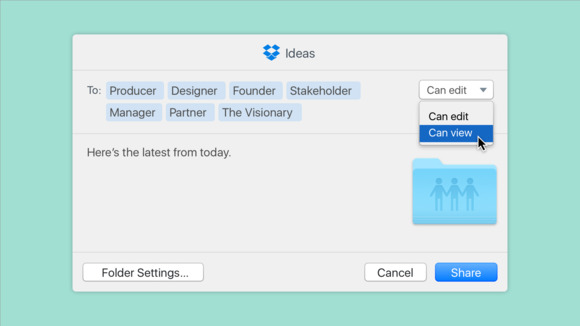 Dropbox made some major changes to its free tier on Wednesday, including support for read-only folders, as the company released a crush of new features aimed at enhancing its users’ productivity. The biggest change users will notice: In order to automatically upload photos from their smartphones, they must install the Dropbox app on at least one Mac or PC. People who don’t mind manually uploading their photos to Dropbox won’t need to change anything. Dropbox won’t say how many people it expects the auto-upload change to impact. The change is aimed at helping people improve the way that they manage photos, but the company wouldn’t give additional information. It seems like the change is an attempt to get a group of users who are using Dropbox only for smartphone photo backup to either dive deeper into the storage service or ditch it entirely. It’s part of broader changes the company has been making to position Dropbox as a productivity service and not just a file syncing and sharing service. By requiring more users to have the Dropbox desktop app on their computers, the company makes it easier for those people to access some of the productivity services that it’s pushing out. In the area of productivity, Dropbox Basic users now have the ability to set folders as read-only, a feature previously available only to paying customers. That means free users will be able to share their files with other people without allowing them to make changes. 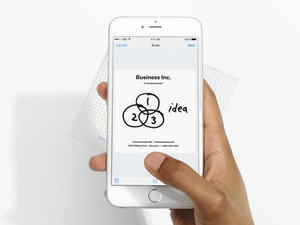 Free users also get to reap the benefits of several new features added Wednesday, including an updated iOS app that supports scanning documents directly into Dropbox, and the ability to have more granular control over sharing files with other people from the Mac or Windows desktop. Overall, these changes seem like a positive sign for Dropbox’s free users, especially at a time when the company is focused on developing its paid, business-focused offerings.